Heeft u een vraag voor South Palms Resort? Gelegen in Panglao eiland is South Palms Resort de perfecte keuze voor reizigers die Bohol en omgeving willen bekijken. Vanaf hier kunnen gasten genieten van eenvoudige toegang tot alles wat de levendige stad te bieden heeft. 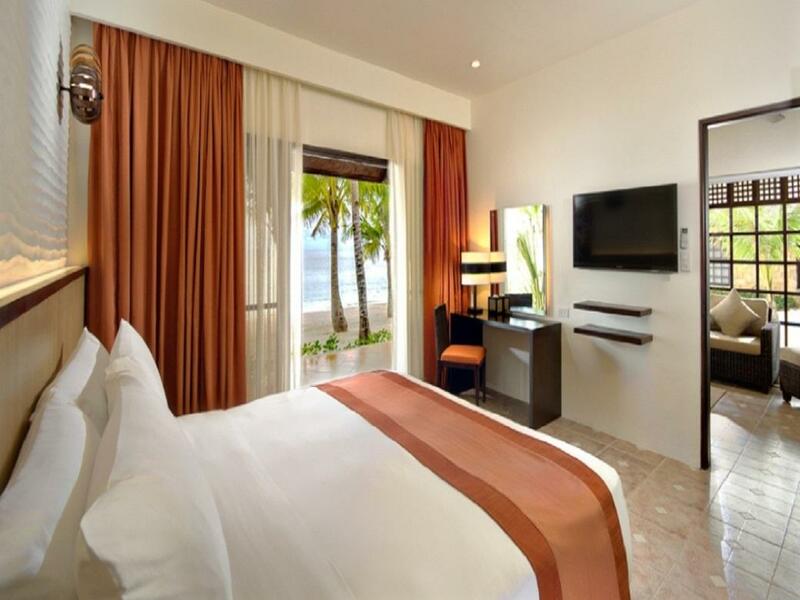 Dit moderne hotel ligt in de nabijheid van populaire stadsattracties zoals Momo Beach, Dumaluan Beach, White Beach. Profiteer van de ongeëvenaarde dienstverlening en voorzieningen in dit hotel in Bohol. Terwijl u verblijft in deze geweldige accommodatie, geniet u van faciliteiten als 24-uur roomservice, gratis wi-fi in alle kamers, 24-uur beveiliging, cadeau-/souvenirwinkel, 24-uur receptie. 90 kamers, verspreid over 1 verdiepingen, bieden een warme en plezierige atmosfeer met modern comfort zoals kledingkast, thee, handdoeken, slippers, oploskoffie. Of u nu van fitness houdt of gewoon lekker wilt ontspannen na een drukke dag, het kan allemaal in dit hotel dankzij faciliteiten als badmintonbaan, privéstrand, fitnesscentrum, zwembad (buiten), massage. 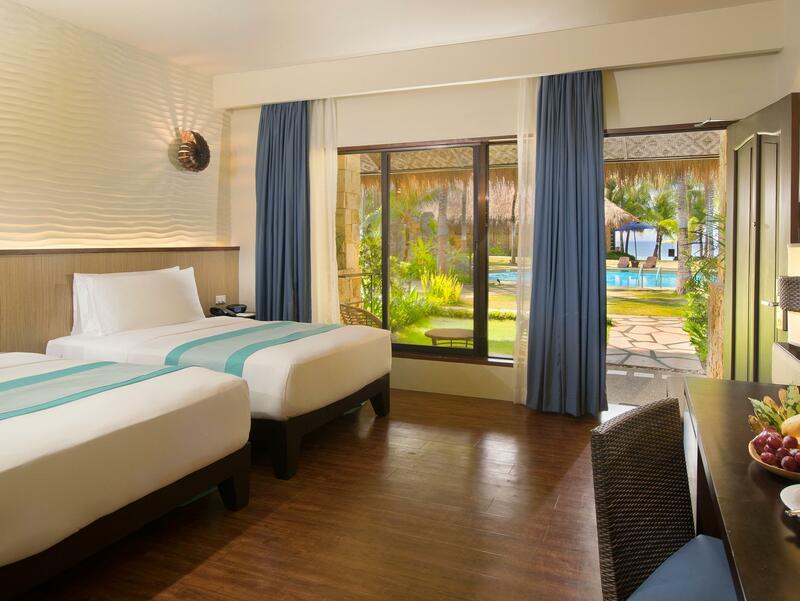 Het South Palms Resort is een uitgelezen keuze als u een kwaliteitsaccommodatie zoekt in Bohol. Zonder twijfel de beste plek waar we verbleven gedurende onze 3 weken in de Filipijnen. Wakker worden aan het witte strand, zwemmen in de infinity pool. Totale ontspanning. Very good service from the warm & thoughtful staff, with small touches of hospitality here & there. At dinner, our server immediately noticed that my friend had a hoarse voice & offered that warm ginger tea was available. Food is good, & the acoustic solo that accompanied dinner was top-notch. Even though they were fully booked, the place didn’t feel packed, except maybe unless everyone was at dinner. Daybeds & hammocks dot in between the numerous palm trees around the rooms, perfect for relaxing! Lots of lounging options at the beachfront as well, for those looking to perfect their tan. Beds are comfortable, & there are even options for different kinds of pillows available. Highly recommended!!! Location is perfect for a relaxing vacation! Friendly and helpful staff. Great breakfast buffet! Clean, soft white sand. Plenty of shaded places to relax — lounge chairs, chaise, swings, hammocks, etc. Well maintained grounds. 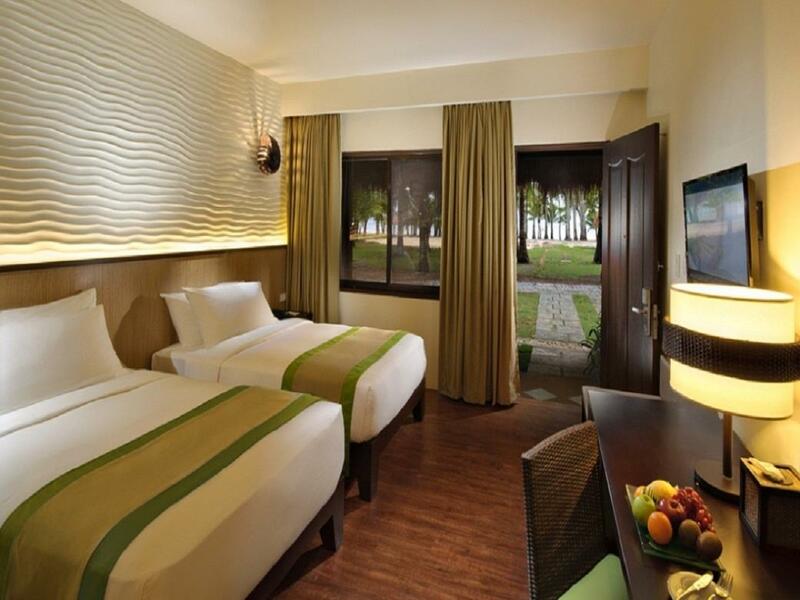 Excellent housekeeping services and amenities. Everyone was truly nice, esp. the restaurant staff. Thank you for treating our toddler well. :) Food was a bit on the expensive side, but was delish. Breakfast buffet had lots of food options to choose from. Our room (deluxe beach front) was made up 2x a day by housekeeping. Once in the morning, and then late afternoon including a turn down treat (love the peanut kisses!). The resort itself was clean and super relaxing. If we had the budget, we'd've stayed more than 4 days. Hehe! This is definitely a 5 star resort. plenty of land area, so it never seemed crowded eventhough the resort was full for the easter weekend. Was planning to return again this year, but sadly, easter weekend was sold out 6+ months ahead...wow! 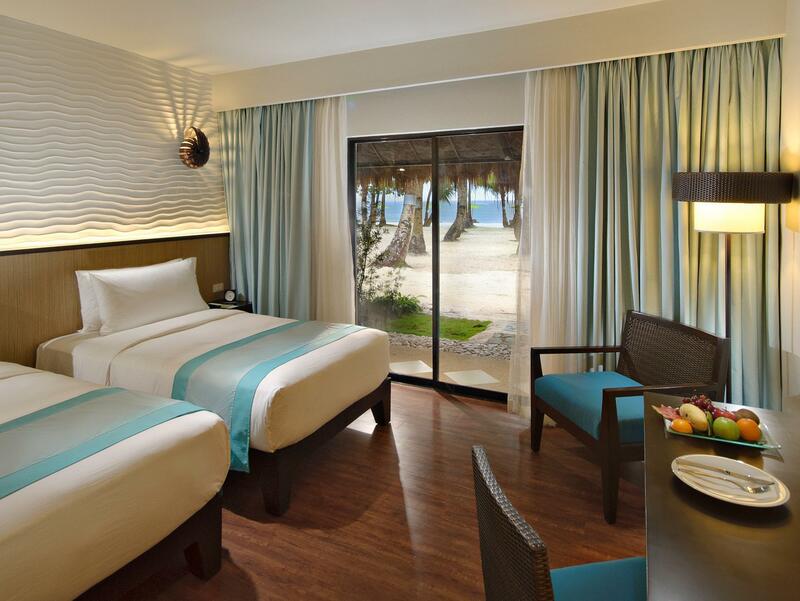 This hotel is right in front of a beautiful beach surrounding by palm/coconut trees. The facilities in the room are not so great. They have just the basic things you can have even in a cheap hotel. I was also not amazed with the breakfast menu. Food from the restaurant is very expensive. But this resort will win your heart for it's breath taking views. Any where you go, it is a picture perfect view! Staffs are very friendly. I would recommend this hotel but will suggest them to improve the room decor and amenities along with food. We had a wonderful stay here in South Palms. The resort has a relaxing vibe, instagram-worthy views and free amenities for the kids to enjoy. The staff were very accommodating and friendly. We will definitely return! Quiet, relaxing, natural place. Thumbs up for private beach and free rental service(kayak, life vest etc) I stayed 2nights in south palms, and next 2 nights in Henann resort. Both places are good. The difference is, south is cozy and relaxing. Henann is more like,, flashy and has easy access to Alona beach. It depends on what kind of vacation you want. We loved the place! We love how all the staff were very polite and accommodating. They were always greeting us and were always ready to assist us. There were a lot of choices in the breakfast buffet too which was great because I love breakfast buffets. The regular restaurant food though was expensive and has limited choices but they have free shuttle in the afternoon going to Alona at 3PM to 5PM so you can just go there to eat if you want cheaper choices. They will also assist you in getting a tricycle going outside of the resort since the entrance is not really near the reception roundabout. 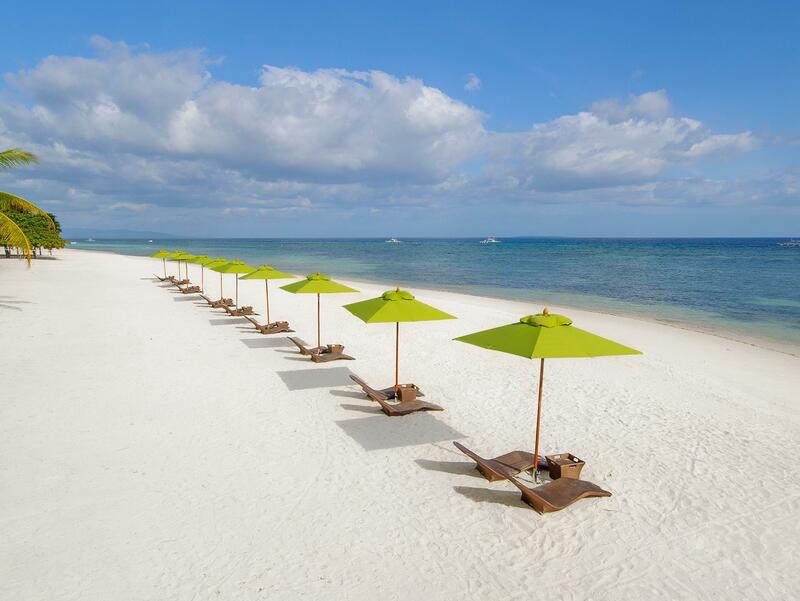 South Palms beach also has the most beautiful front beach among the resorts in Panglao so if you want to have a chill out of town without any activities, this is the best resort to stay at. It has two pools so if you don't feel like swimming at the beach then you can just use the pool. My husband and I will definitely go back here! For the second time - after a summer stay in August - we had a pleasure to stay for short time before XMass time. As usual the welcome was perfect, the staff so friendly - cook and restaurant "brigade" on top. It's really a pleasure to spend time on your resort, lot of place (even when it's full) is a quiet and peaceful place. Thanks and remember, to be at the top is more or less easy but to stay at the top, should be a daily challenge…..
South Palms Resort provides a very relaxing vibe. The place is so grand and peaceful. They are able to effectively maintain the vast space of trees and cottages, not to mention the long strip of the beach they occupy. All over the place, there are hammocks and swing beds that you can use to rest. The cottages are well maintained and clean. We booked the Garden View cottage and it exceeded our expectation in it's location. The staff are all very accommodating and friendly. Not one of them fails to greet you when you pass them by anytime of the day. Upon check-in, they greeted us with coconut necklaces, shaped like a heart. They also offered us cucumber juice and cold towels. One front desk staff, Jojie, even assisted me in getting a birthday cake for my husband. Robel and Joey from Oceanica Resto gave birthday surprises for my husband, and they assisted me in our dinner reservations. We enjoyed our stay in Panglao mainly because of South Palms. Thank you South Palms Resort! nothing can beat the views, the location, the ambiance - it is heaven!! food quality and variety can be improved, available accessibility for guests in and out of the resort should be thoroughly thought of and highly considered but management. i think an investment of golf carts to ferry in and out of guests from hotel lobby to main road can elevate this resort services and facilities to next level - with the customer needs in mind.. The place is very spacious with huge gardens. mini-forest, manicured lawns, two pools to choose from, and a wide expanse of a beachfront. On top of this, there are a lot of activities to keep one entertained --- bicycles, snorkeling (there were two coral reefs approximately 300m-400m from shore, with probably a depth of 15m during low tide), kayaking, foosball, table tennis, billiards/pool, tennis, basketball, and a spa. They also have live music at night which lends to a pleasant dinner atmosphere. Dining choices are aplenty with Filipino favorites, continental cuisine (pasta/salads, sandwiches), and Asian cuisine in the menu. But best of all, staff were friendly, courteous, and attentive. They make you feel at home. Really wonderful staff, amazing restaurant, beautiful beach, resort and room. We preferred the location to Alona beach, which wasn't too far away. Only one shuttle to alona beach each day, but this could be because it wasn't peak season. Would recommend the stay! Everything about this resort was superb. The staffs made our vacation better with their excellent services. The villas and facilities were well maintained. What you see on the photos is what will you actually see when you're there. Totally wonderful experience! Will definitely be back. About the hotel itself first : the room is clean (although there was just a shower, no bath) , the facilities are great and the beach is abolutely amazing. A lot of spaces to rest (sofas, hamac, etc), instangram worthy ;) The pool is a bit small, not super inviting (but again, why going into the pool when the sea is that nice) But the best part here was the staff : really super nice people, always trying to make you feel happy and confortable. One example : Our daughter was sick in the evening and the nurse (they have a 24h nurse) woke up, took care of her, joined us at the hospital : and the transportation Hotel -> hospital -> hotel was totally free of charge, at 2am in the morning. it is extremely rare and we loved it. All you need on Bohol. Lovely garden-concept, great beach, clean, friendly, safe, good internet, large à la carte menu, live music, all services to check-out the sea, and during the rainy season far less to no rain on Panglao comparied to the main island.